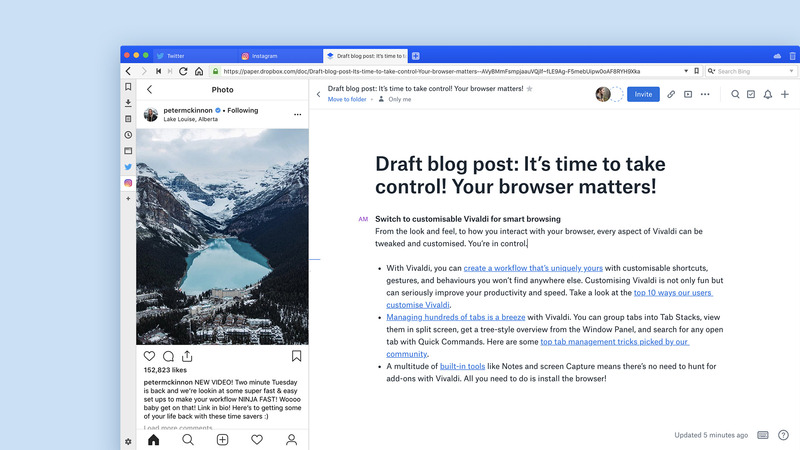 Vivaldi’s Web Panels allow you to display websites within the side panel of your browser, creating a split screen view. In a Web Panel, you can create your own Instagram control center. You might like to hide the Vivaldi toolbar at the top of the panel. That toolbar lets you go back, forward, refresh and go to the home page but takes away from some of your screen space and is not native to Instagram (if you want a genuine Instagram experience). Just select “Toolbar” > “Hide”. You can bring it back if needed. You can even “ float” the Web Panels (Wow)!! 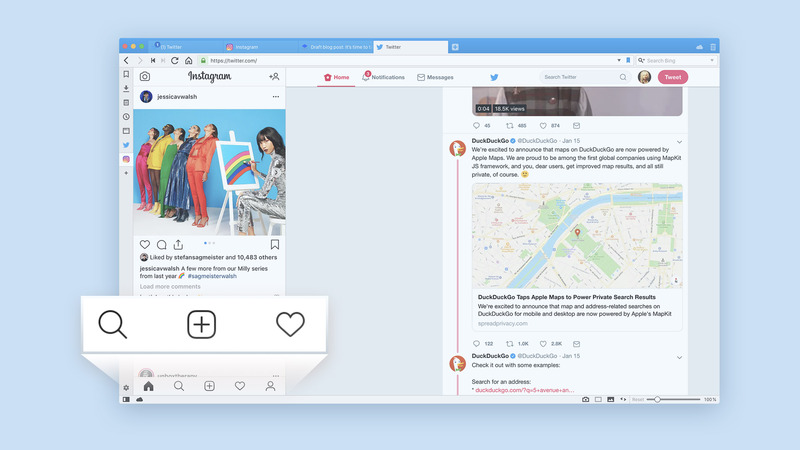 With this option, all the Web Panels will be overlaying your main window. You also have the option of making Panels auto-close if they lose focus (i.e. if you mouse over a different part of the window). That way the panel doesn’t get in the way of whatever else you are doing. Panel > Panel Options then select “Floating Panel” and “Auto-close Inactive Panel”. So now we can only say in this world of hashtags (highly and heavily used on Instagram), # SwitchToVivaldi!